Alabama Beagle Rescue View other Beagles for adoption. 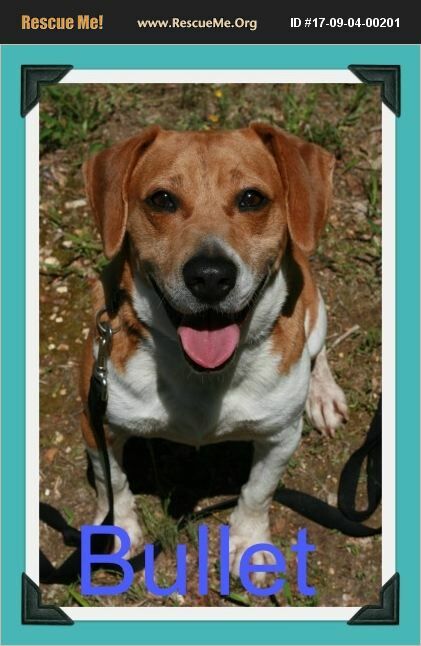 Bullet is a 4 year old beagle and as a true hound, he loves to track! He is very sweet and is great with other animals and kids! He was brought to the rescue when he was about to be put down at a local shelter. He came to them with 2 gun shot wounds to his legs that luckily went all the way through with no damage to the bones. He was also heartworm positive but he has already been treated! He has healed very well from everything this poor baby has been through! He is fully vaccinated, has been neutered and is ready to go to a new home where he can get plenty of love! His adoption fee is $150.